Some readers here may know that I have a thing for jerseys. I have a photo project on Facebook where I talk about why I have so many jerseys, and what each one means to me. 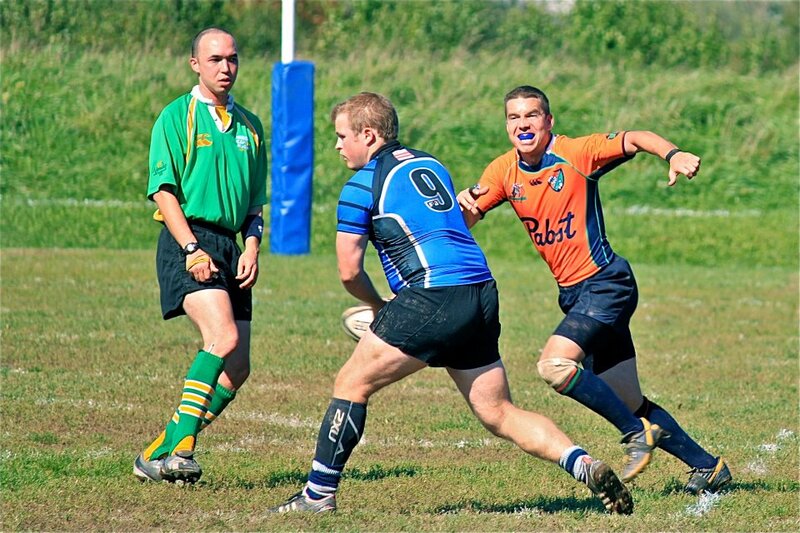 Some of you also know that I am a rugby referee. Though my reffing career has come in fits and starts due to delays related to school and managing the Deaf team I have started to get higher level assignments again in the last year or so. For me one of the cool things about these assignments is getting free jerseys. 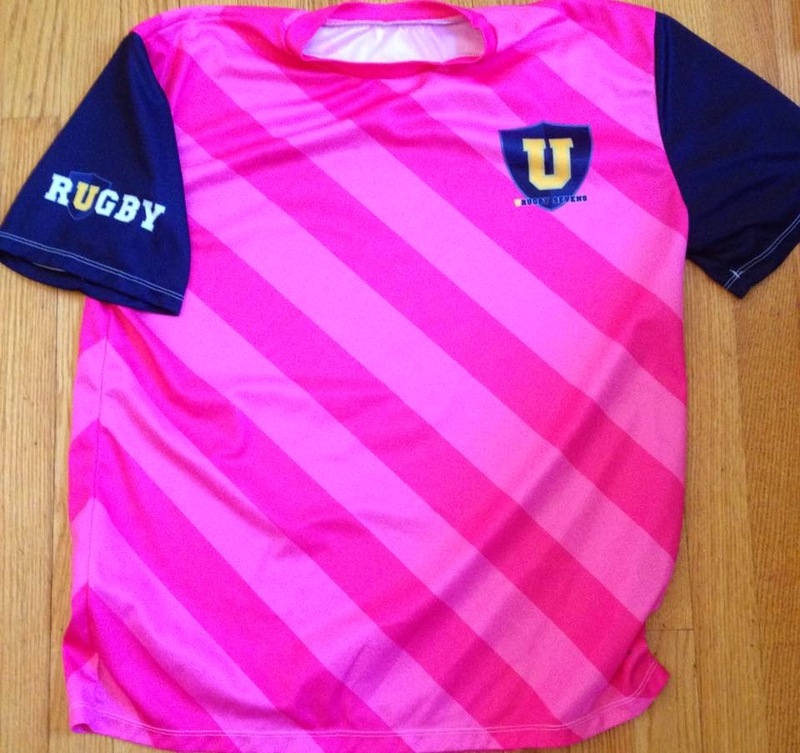 I always wanted to get a USA Rugby jersey, but for some reason could never bring myself to lay out the cash. Now I have three USAR shirts that I got for free for officiating at USA Rugby events. Of course, all of this is another rambling prelude that only loosely brings us to today's post. 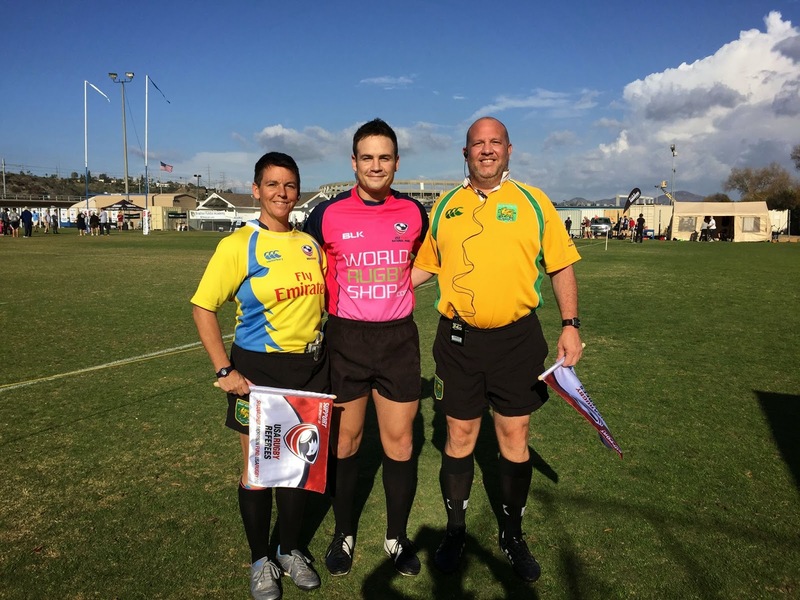 There's a trend in rugby referee jerseys that has been going on for a while now that I wanted share. Refs are going pink, and not just for October, but all the time. At first I thought it was just an odd pro league here and there. Ben Tameifuna pushes referee Glen Jackson over before getting yellow carded.Dumbest play of the year? But then USA Rugby and some of the local societies started getting in on it too. But it didn't stop there. 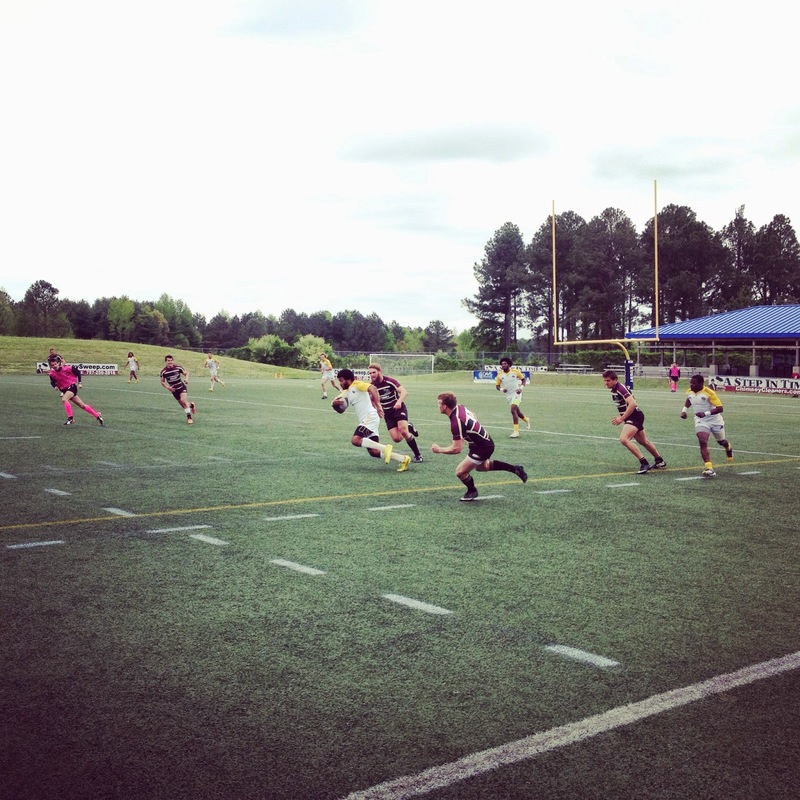 This past weekend I worked at the ACRC7s/URugby 7s tournament in Virginia Beach where we were issued another pink jersey. Some of us from Potomac had pink socks with us. Another ref had his girlfriend run out and buy pink socks for the other guys. Long story short (too late), we looked awesome. That's me in goal in the background. 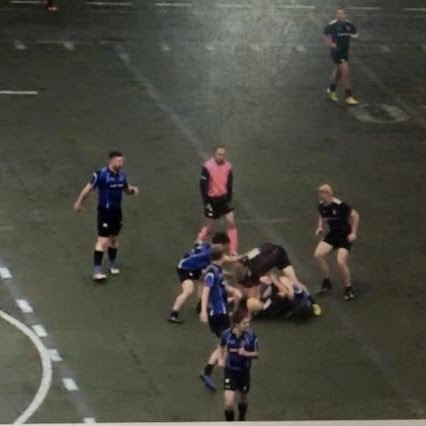 I can't find any pics of me reffing but I'll post some if I find them. The best I have is this screen shot from the webcast. I promise I can see the entire defense from this position. I do get my shoulders up field in the next frame. For this tournament the organizers said they chose pink because they figured it had the least chance of overlapping with any of the teams' uniforms. Last year the refs wore blue/gold and had to change out of the jerseys for some games. For the webcast, and for televised games they want the tournament jerseys worn, not only for the look (it's more professional if all the officials look uniform) but also to please the sponsors. By going to pink they could get the look they wanted without having to consider multiple jerseys. Of course this was the year a team showed up with a pink strip. But luckily they had black alternates, which they wore throughout the tournament. 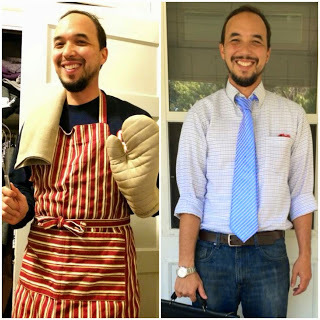 Despite its popularity not everyone is happy with the trend. The NRL referees got rid of the pink jerseys for fear that they were not being taken seriously. Personally, I haven't noticed any difference in player compliance when I wear pink. (Though that may say more about faults as a ref than it does about my shirt). I love the pink jersey trend. I've always liked to peacock out a little bit on the pitch. Not to draw attention away from the game or the players I'm there to facilitate for, but just to have a little fun. 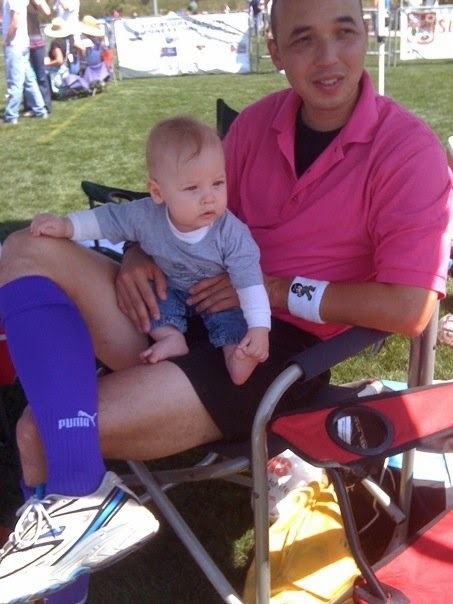 When we got these pink Polo shirts at Tri-Tip 7s I paired them with purple socks. I felt like an Easter Egg. 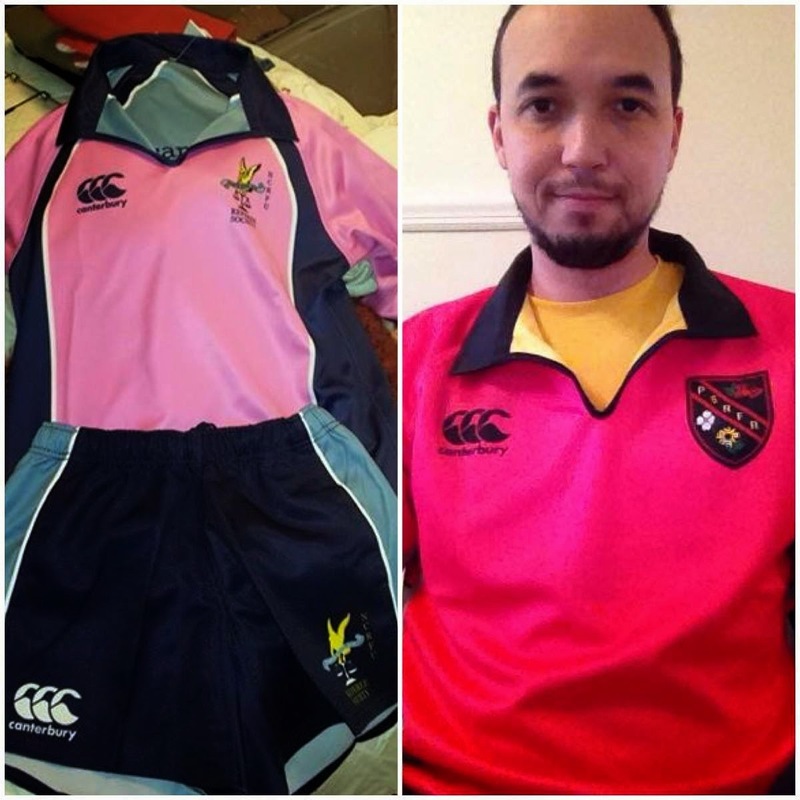 This was actually the first pink ref shirt I received. I've also reffed in stirrups at a Halloween 10s tournament. They matched up with the 2008 Saranac CanAm jersey really nicely. But I'm starting to stray off topic. 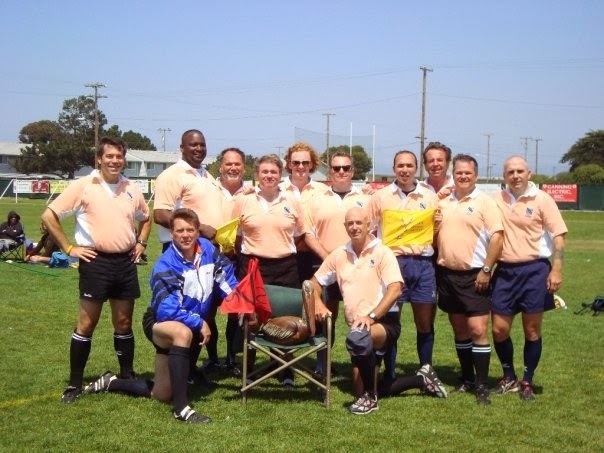 The other tip of the spear came at the 2009 Women's Club 7s Championships in San Francisco. The hosting club, San Francisco Fog provided these salmon colored numbers. The next event where I'll get kit (translation for non-ruggers: "a free jersey") will be at the CRC 7s. If it's pink I'll post an update. UPDATE: You can read the CRC 7s update here.